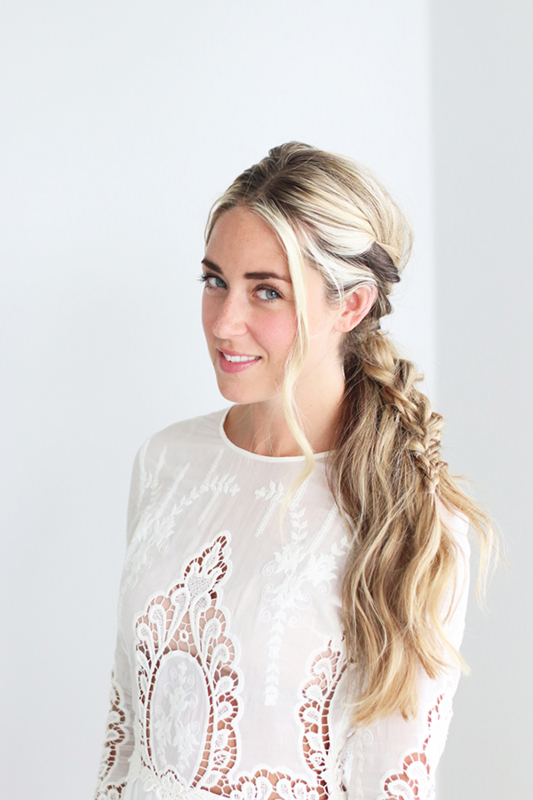 If you happen to follow Cara McLeay on Instagram, you know that she’s the queen of beachy braids! Last month Cara showed us how to perfect the twisted braid, and now she’s back to share her tips for nailing a seriously stunning pony. 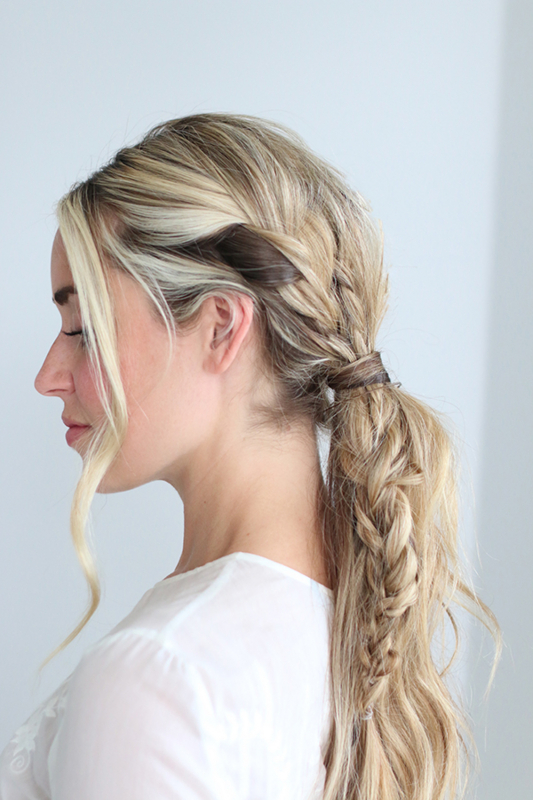 The key to this ‘do is the voluminous formation of three braids into one—it gives extra oomph to any hair type! 1. Grab a large section of hair from one side of your head. Braid that section of hair completely, pulling it back as you braid to ensure that it lies flat against your head. 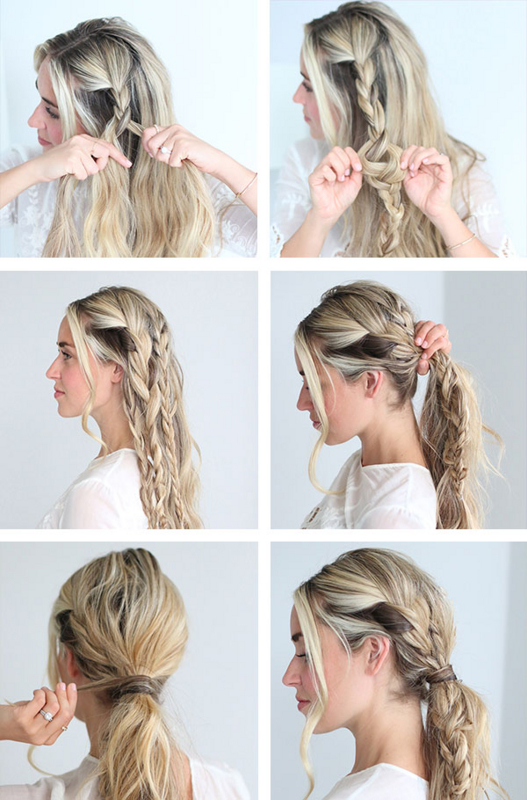 Secure braid with an elastic. 2. Gently pull on the braid to increase volume and create a more undone look. Repeat Step 1 with two smaller sections of hair (from the same side of your head as the first braid). 3. Gather all three braids and loosely braid them together. Secure with an elastic. 4. Pull all of your hair—including the newly formed braid—into a ponytail. Secure with an elastic. 5. Grab a small strand of hair from the bottom of your ponytail and wrap it around the elastic until the elastic is no longer visible. Secure with a bobby pin.